Why did it take so many years for this vital service to return? After more than 25 years, Calgary will again have a donor human milk bank. Alberta was not immune to the various factors that conspired to close milk banks across North America, some virtually overnight. First there was a fear that donor milk might be contaminated with HIV, the virus which causes AIDS. At the same time advances in the specialized science of pediatric nutrition meant babies born at 30 weeks, 25 weeks, and even 22 weeks were surviving and researchers and infant formula companies were coming up with new ways to meet their growth needs. Alberta was at the forefront of some of that research with Edmonton neonataologist Dr. John Van Aerde teaming up with University of Alberta nutritionist Dr. Tom Clandinin in 1985. Clandinin discovered two fatty acids found in mother’s milk and missing from infant formula were necessary for proper infant brain development. Clandinin and Van Aerde’s research was instrumental in the eventual inclusion of ARA and DHA (Arachidonic Acid and Docosahexaenoic Acid) in infant formula [iii]. One of the main causes of death amongst premature infants is necrotizing enterocolitis, which can be fatal. The risk of necrotizing enterocolitis is increased in premature infants fed infant formula and so access to door human milk for these fragile infants is critical to improve their chances of survival. After the closures of the ‘80s, U.S. and Canadian milk banks refined safety processes and formed the Human Milk Banking Association of North America (HMBANA) to regulate milk banking policies and procedures. Milk banks began to regain ground in providing critical therapy for infants in need. The San Jose, California, milk bank and Vancouver’s milk bank are among the few to operate continuously through this time but they could not supply the needs of the entire continent. Efforts were made to reopen or establish new banks in other areas. By the ‘90s half a dozen banks were operating again in the US – there are now a dozen milk banks or developing milk banks serving mainly U.S. populations. Efforts in Canada were not as successful. Attempts to reopen Edmonton’s milk bank in 2003 were not supported by senior medical personnel with Capital Health. Similar efforts in Ontario and Quebec were also met with indifference or concern – the Canadian Pediatric Society failure to revoke its anti-milk-bank policy kept our country from moving forward even as the US benefited from renewed interest in donor human milk. In 2005 a for-profit U.S. company, Prolacta, was formed to manufacturer an expensive specialized human milk product for premature babies. At the time the Globe and Mail noted, “The tragedy of this story is that a company is commercializing breast milk at a time when Canada has virtually abandoned its very successful network of not-for-profit breast milk banks. In January 2010 the Alberta Breastfeeding Committee announced funding for a steering committee to begin the process of bringing milk banks back to Alberta. 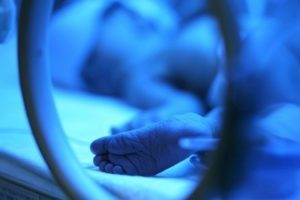 That effort produced several initiatives – a group of staff at Royal Alexandra Hospital in Edmonton agreed to work on a funding submission for a donor milk bank to operate at Edmonton NICUs, and several efforts to establish a community-based milk bank in Calgary also got underway. Finally, in late 2010 the Canadian Paediatric Society announced a new policy calling for a network of milk banks to provide pasteurized human milk to infants in need, across the country. This provided the impetus for one of the Calgary efforts to move to fruition. The Calgary Mother’s Milk Bank’s opening in January comes just two years after the ABC’s steering committee was established, proof that once the medical establishment is onboard, milk banks can thrive. Spearheaded by Registered Nurse and International Board Certified Lactation Consultant Jannette Festival, the milk bank will be run by Festival as Executive Director, Calgary-area family physician Dr. Douglas Caine as Medical Director, and financial director Anne Marie O’Gorman. These three volunteer staff members also sit on the milk bank’s board of directors and are joined there by physicians Dr. Douglas Wilson, who is the head of the University of Calgary’s Obstetrics and Gynaecology department, and pediatrician Dr. Douglas Yeung. Additional volunteer staff include Monica Suche as the donor coordinator and Mario Festival as the IT manager. An advisory board is also in place with neonatologist Dr. Jill Boulton, who is also a clinical peds professor at the U of C; Dr. James Kellner, the head of the U of C’s peds department; Dr. Elizabeth MacKay, internal medicine/family practice; pharmacist and IBCLC Jennifer Peddlesden, who has long been active with various breastfeeding causes including the Breastfeeding Practice Interest Network for Pharmacists (Peddlesden was recently named 2011 Volunteer Citizen of the Year in her hometown of Chestermere); Maureen Fjeld, IBCLC, RLC, past president of the Alberta Breastfeeding Committee and 2011 Winner of the Canadian Lactation Consultant Association Award of Excellence; family physician Dr. Mary-Jo Woolgar, and Marilyn Young, RN. The milk bank will be mentored by HMBANA and is seeking HMBANA accreditation. Whether the Calgary bank can meet the needs of the entire province isn’t clear. A number of HMBANA milk banks operate via a system of local depots where milk is donated and collected locally, sent to the milk bank for processing, and returned to the community for local distribution. But just as Calgary’s NICU services support the southern part of the province, the Edmonton’s Stollery Children’s Hospital’s David Schiff NICU and the Royal Alexandra NICU receive the sickest babies from Northern and Central Alberta as well as from parts of B.C., Saskatchewan, the Northwest Territories and Nunavut. The David Schiff neonatal transfer team receives about 500 newborns each year and the Royal Alexandra NICU admits all premature infants of less than 32 weeks in Northern Alberta. Both NICUs haven’t had donor human milk available since Edmonton’s mother’s milk bank closed in the ‘80s. A hospital-based funding proposal for a milk bank at these two NICUs is awaiting approval. Festival says her ultimate goal is to see breastfeeding rates increase because people are more aware of the value of human milk – the bank will validate how important human milk is. How successful Festival and her team will be to meeting their goals remains to be seen but it is a big step forward for Alberta. The milk bank will be opening just as experts launch a call for best practices for the solicitation and distribution of human milk, a long-overdue move that could provide significant guidance for the milk bank initiatives moving forward in Alberta. Jodine Chase is a mother of five ranging in age from 29 to 6 years old and a grandmother to three under five. She donated breastmilk to Edmonton’s milk bank before it closed over 25 years ago, is passionate about supporting birth and breastfeeding. She is an Alberta Breastfeeding Committee board member and is active with the Breastfeeding Action Committee of Edmonton. [iv] INFACT Canada, “Donor Human Milk Essential Resource For High Needs Infants” Human Milk Banking Threatened in Canada?, Summer, 1995. 1. Jessri M, et al. (2013). Predictors of 6-months Exclusive Breast Feeding: Observations from Alberta Pregnancy Outcomes and Nutrition Study (APrON). BMC Pediatrics, 13, 77-91. Subway Photos©iStock.com/bmcent1; Bench Photo©iStock.com/javi_indy Jodine Chase lives in Edmonton. She is mother, stepmother, and spouse to the father, of 11 offspring, ranging in age from eight to 38. (“I only gave birth to five!” she’s been known to declare.) She works in public relations with an emphasis on the health care and energy fields. She uses her powers for good providing support as a volunteer to breastfeeding causes both locally and globally. She blogs at Human Milk News and also works in her community to support the sustainability of mature neighbourhoods.